It remains unclear as to exactly how the '6 cottages or tenements' referred to in his will came into his possession - possibly purely as an investment, which would imply some wealth attributing to Samuel at this stage. The ownership of these cottages can be followed through in the Manor Books to the Deed of Enfranchisement, with an accompanying plan which enables the cottages to be identified as a terrace still in existence at 46-54 Station Road and known colloquially as ‘Barrack Row’, although the name does not appear to have been derived from any connection with any barracks. The number of houses is now only five, although it is not known how the sixth disappeared. The current houses are three-storeyed but the actual age of the existing structures is unclear - they do not appear to be what would have been called 'cottages' in the 1750's. [S166] J W Forsaith, "Forsaith Family tree 1715-1942" ,the date in this tree (1715) now known to be incorrect. 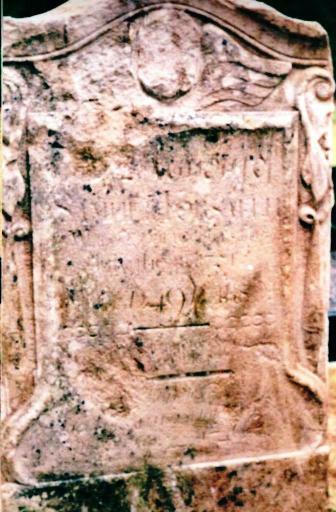 [S876] Cemetery Marker - , St Mary's, Bloxholm, Lincolnshire, gives a death age of 49, implying birth c1702. [S348] Will - Samuel Foresaith, Lincolnshire Archives OCC/Linc Cons 1752/62. [S541] National Archives of Britain, at http://www.nationalarchives.gov.uk, Manor Books of the Manor of Hampton Court, 1640-1800, LR 3/40/3-7 & LR 3/41-45. [S876] Cemetery Marker - , St Mary's, Bloxholm, Lincolnshire, grave no. 19. Samuel died before March 1851 (as his wife was a widow at the time of the 1851 census). [S667] England & Wales Non-Conformist & Non-Parochial Registers 1567-1970, at http://www.ancestry.co.uk, England & Wales Non-Conformist Record Indexes (RG4-8). [S189] International Genealogical Index (IGI), Batch No. C146191, Source Call No. 0838733. [S189] International Genealogical Index (IGI), Batch No. M001612, Source Call No. 0380151. In the presence of us James Adams Mary Adams I K Child. [S581] London Metropolitan Archives, at http://www.ancestry.co.uk, Although the register gives her name as ADDAM, she (and all her family ) have signed as ADAMS. [S117] Census - 6 Jun 1841, UK census, ED 3 HO107-725-9 Folio 19 p32. [S581] London Metropolitan Archives, at http://www.ancestry.co.uk, St Botolph without Bishopsgate, Register of Baptism, P69/BOT4/A/01/Ms 4519, Item 5. [S190] Index - GRO and Office of National Statistics, England & Wales Civil Registration Qtrly Indexes, Birth: District of East London, Vol 2, p193, 2Q1841, mother's maiden name ADAMS. [S116] Census - 3 Apr 1881, UK Census, ED 8 RG11-0371 Folio 18 p31 FHL film 1341080. [S118] Census - 30 Mar 1851, UK census, ED 2b HO107-1524 Folio 420 p74 GSU roll 87858. [S340] Census - 7 Apr 1861, UK census, ED 10 RG9-211 Folio 92 p42 GSU roll 542592. [S367] Census - 2 Apr 1871, UK census, ED 11 RG10-402 Folio 19 p32 GSU roll 824626. [S189] International Genealogical Index (IGI), Batch No. M133032, Source Call No. 0849426. [S190] Index - GRO and Office of National Statistics, England & Wales Civil Registration Qtrly Indexes, Marriage: District of Bethnal Green, Vol 1c, p583, 1Q1872. [S581] London Metropolitan Archives, at http://www.ancestry.co.uk, Saint Matthew, Bethnal Green, Register of marriages, P72/MTW, Item 066. He left England, and based on the contents of New Zealand newspapers of the period, must have arrived in Auckland before May 1851. [S189] International Genealogical Index (IGI), Batch No. C037161, Source Call No. 0597086. [S6] Newspaper - Times of London, edition of 21 Mar 1825, p.2, col.a. [S581] London Metropolitan Archives, at http://www.ancestry.co.uk, Saint Mary, Bromley Saint Leonard, Register of marriages, P88/MRY2, Item 024. [S409] Electronic Version of Paper - Old Bailey Proceedings Online, online, 17 June 2003 File Ref VVB00000. [S6] Newspaper - Times of London, edition of 25 Jan 1832, p.5, col.b. [S923] BDM Registrar of New Zealand, death record, Old folio 1878/896, Ref. No. 8-0006690. [S117] Census - 6 Jun 1841, UK census, ED 17 HO107-709-6 p2 - 3. [S371] Public Record Office, Victoria, at http://www.prov.vic.gov.au, Index of Inward Passenger Lists for British, Foreign and New Zealand Ports 1852-1923, Series VPRS 7666, 7667, 7786, fiche 264, p1 & 3. [S371] Public Record Office, Victoria, at http://www.prov.vic.gov.au, Index to Outward Passengers to Interstate, UK, NZ and Foreign Ports 1852-1886, film 1867, p1. [S542] Index - New Zealand BDMs online, at http://www.bdmhistoricalrecords.dia.govt.nz/, Death Reg. No. 1878/2408. [S995] Letter - Samuel Smyth Forsaith to John Smyth Forsaith, letter of c1890. [S920] Newspaper - Thames Advertiser, issue of 2 April 1894, Deaths; copied by Lucy Marshall, 1965. [S542] Index - New Zealand BDMs online, at http://www.bdmhistoricalrecords.dia.govt.nz/, Death Reg. No. 1894/2656. [S590] Newspaper - Sydney Morning Herald, issue of 11 Apr 1894, p1, deaths; almost certainly placed by his half-brother T S Forsaith. [S920] Newspaper - Thames Advertiser, issue of 5 April 1894, Deaths; copied by Lucy Marshall, 1965. [S207] Cemetery Marker - Samuel Smyth Forsaith, Cemetery record, Thames, Research by L Marshall, 1965. This letter claims Council records show burial date of 2 April 1894, but this may be the date the plot was opened. 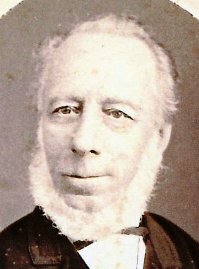 Plots 17/18 were bought by Forsaith & Sawyer and used for Eliz Sawyer (aged 16 mths) in 14 Apr 1874, then Elizabeth Forsaith (9 Aug 1878 aged 73) before Samuel. [S805] Newspaper - Thames Star, issue of 4 April 1894, Deaths; copied by Lucy Marshall, 1965. [S190] Index - GRO and Office of National Statistics, England & Wales Civil Registration Qtrly Indexes, Birth: District of Saint Luke, Vol 2, p214, 4Q1838, mother's maiden name MOIR. [S190] Index - GRO and Office of National Statistics, England & Wales Civil Registration Qtrly Indexes, Death: District of Hackney, Vol 1b, p191. [S189] International Genealogical Index (IGI), Batch No. C096981, Source Call No. 0597094 (RG4 4237) film ( RG4 4500, 4394, 4395) book. [S117] Census - 6 Jun 1841, UK census, ED 5a HO107-320-13 Folio 4 p3. [S190] Index - GRO and Office of National Statistics, England & Wales Civil Registration Qtrly Indexes, Marriage: District of Shoreditch, Vol 2, p422. [S190] Index - GRO and Office of National Statistics, England & Wales Civil Registration Qtrly Indexes, Death: District of Shoreditch, Vol 2, p552, 3Q1849, aged 29. [S190] Index - GRO and Office of National Statistics, England & Wales Civil Registration Qtrly Indexes, Birth: District of Bethnal Green, Vol 1c, p248, 1Q1867, mother's maiden name ROBERTS. [S116] Census - 3 Apr 1881, UK Census, ED 7c RG11-0314 Folio 7 p8 FHL film 1341067. [S367] Census - 2 Apr 1871, UK census, ED 1 RG10-491 Folio 17 p27 GSU roll 823374. [S178] Census - 5 Apr 1891, UK census, ED 10 RG12-205 Folio 180 p47. [S430] Census - 31 Mar 1901, UK census, ED 18 RG13-261 Folio 206 p53. [S687] Census - 2 Apr 1911, UK census, RG14PN7390 RG78PN357 RD132 SD5 ED40 SN176. [S190] Index - GRO and Office of National Statistics, England & Wales Civil Registration Qtrly Indexes, Death: District of Edmonton, Vol 3a, p819. [S1012] St Kilda Cemetery database, at http://stk.smct.org.au, Church of England section, Compartment A, grave 351. [S118] Census - 30 Mar 1851, UK census, ED 17 HO107-1504 Folio 549 p14 GSU roll 87838. [S502] Index - Victoria BDMs online, at https://online.justice.vic.gov.au/bdm/indexsearch.doj, Death Reg. No. 11087/1886, aged 55 (claimed) - this entry has many errors. [S761] Newspaper - The Argus, issue of 26 July 1886, no. 12,506, p1, Deaths. [S1012] St Kilda Cemetery database, at http://stk.smct.org.au, Church of England section, Compartment A, grave 351. Note this claims her age to be 55, which is highly suspect.